Marketing is all about getting your brand message across. And to be effective, it has to be visible, eye-catching, and if possible, tailor made to your target audience. An often overlooked form of marketing that perfectly fits this description is printed flyers. Yes, big or small, flyers are an effective part of any marketing strategy. Not only do they grab people’s attention, but they also allow you to customize your message to suit a target audience.However, because of its effectiveness, marketing by way of flyers is a highly competitive field. You must therefore go out of your way to be visible. With that in mind, here are some easy ways to make your flyer stand out from the competition. As far as flyers go, an image is truly worth more than a thousand words. And image here means just that – one image. Although common sense dictates that many small images will have the greatest impact, nothing could be further from the truth. Small images are, in fact, a distraction. One striking image, on the other hand, becomes a focal point. It catches your eye, sets the mood, and tells a story without even trying. If you’re on a tight budget and you want to create a colorful flyer, consider doing two things. One, make use of the many royalty-free and inexpensive stock photos available today. And two, use free club flyer templates to get the job done. Like an image, a catchy title is an attention-grabber. After all, it is the first thing they see. But for it to be catchy, you need to put some thought into it and only select words that are unusual or provocative. And whatever you do, make sure they are memorable. Also, consider using titles with words like Free Bonus, Discover, and The Secrets To among others. They are always a hit with audiences. No amount of colors, images, or catchy titles can make up for poor content. After they are past the flashy graphics, people want to know only one thing: “What’s in it for me?” So, in your flyer, answer this question using short sentences, short paragraphs, and bullet points. Also, use the pronouns “you” and “your” to connect with your audience. Do all this while highlighting the benefits of your product or service. Once you are done writing your content, get someone to proofread it. Nothing dents your brand’s image more than a flyer full of spelling and grammar mistakes. The same applies if you list the wrong email address, website address, phone number, and prices. So, go through them again and correct them where necessary. Finally, include an offer or some offers in the flier. They can be in the form of a promotional code, a voucher at the bottom, or even a coupon designed into the flyer. 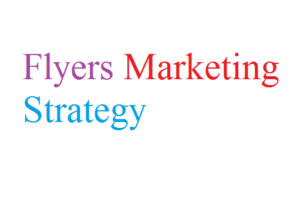 Besides generating new business, offers also help you to determine if the flyer campaign was a success or not. Flyers are effective marketing tools so keep the above tips in mind.